In designing reversible circuits one of the useful circuits is the decoder. The operation of a decoder is naturally reversible, so it makes sense to be able to create one with no garbage outputs. For 1-to-2 and 2-to-4 decoders this is easy. However, when I look up reversible decoder implementations for n greater than 2, I can't find any that reduce the garbage outputs to 0. Is there a reason for this? Has it been proven impossible, or has a solution just eluded research? In particular this paper seems to show that many attempts to create 3-to-8 decoders seem to get stuck at 1 garbage output. I did notice that most papers seem to focus on general quantum cost, not just on garbage output. I suspect that if quantum cost is ignored it should be possible to create a 3-to-8 decoder with no garbage output lines. I have tried with pen and paper to come up with such a design, to no avail, but haven't performed any kind of exhaustive search. I'm assuming that by "decoder" you mean "binary to unary conversion". Once you have the unary output, you can use a series of CNOTs to clear the binary input. For example, for unary output qubit #6 you toggle binary bits #1 and #2 because 6 = 2^1 + 2^2. A "garbage free decoder" is just these two circuits in sequence. An encoder is the same thing but in the reverse order. 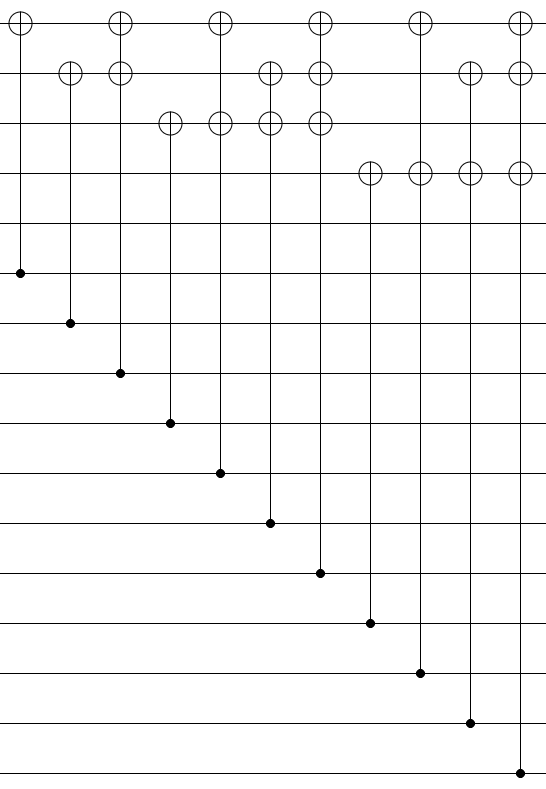 Also, the number of non-Clifford operations in this circuit (n-lg2(n)-1) is provably optimal because every output (there are n) is linearly independent w.r.t. 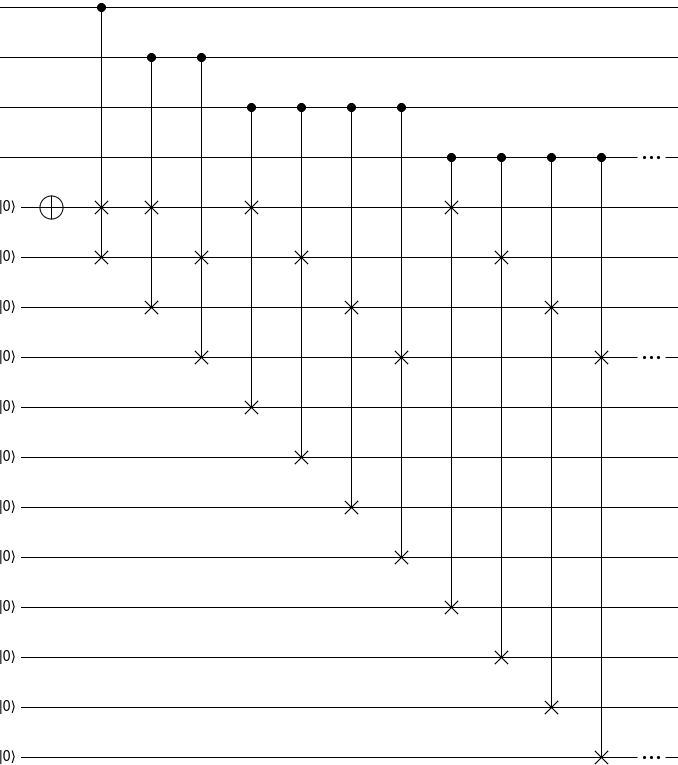 xoring and you start with only lg2(n) + 1 linearly independent components (lg(n) address bits + 1 for the ON state).